How many times you open your closet and say : “I don’t have anything to wear!” An organized and up to date closet is your way to see and grab your desired outfit. Organizing your closet is number one rule to help you out to dress up every morning. Having easy access and seeing the garments neatly on the hangers will give you a clear overview of what to wear for any occasions. – What to keep and what to toss: keep only clothes that fit, flatter your body type, and project your new style. – Make most of your clothes: create new outfits with the clothes that you already own. – Wardrobe checklist: what you already have and what pieces you have to add to update your closet. 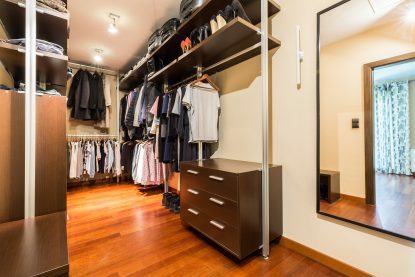 Evaluating and updating your closet will be simple after a good clean up. Now, you know what you have in your closet. Next step is to make a list of the pieces needed to refresh your wardrobe and to add to existing items in your closet. Shopping will be fun and relaxing when you know what you are looking for. So, it’s time for shopping!